Drs. Jake and Emily Thibeaux purchased Congress Animal Hospital in October 2015, but have been working as the primary veterinarians at Congress since 2011. Dr. Jake was born and raised in Alexandria, LA, and has been living in Lafayette since 2010. Although he is considered a “northerner” he is quickly becoming accustomed to the wonderful culture here in South Louisiana. Dr. Jake received his Bachelor’s degree in Animal Science from Louisiana Tech University in 2007, and attended veterinary school at Louisiana State University where he met his amazing wife Emily. Dr. Jake is an avid sports fan and passionately cheers for the LSU Tigers and the New Orleans Saints. Dr. Jake thoroughly enjoys developing relationships with the many clients and patients at Congress Animal Hospital and considers it a privilege to serve them through Veterinary Medicine. Drs. 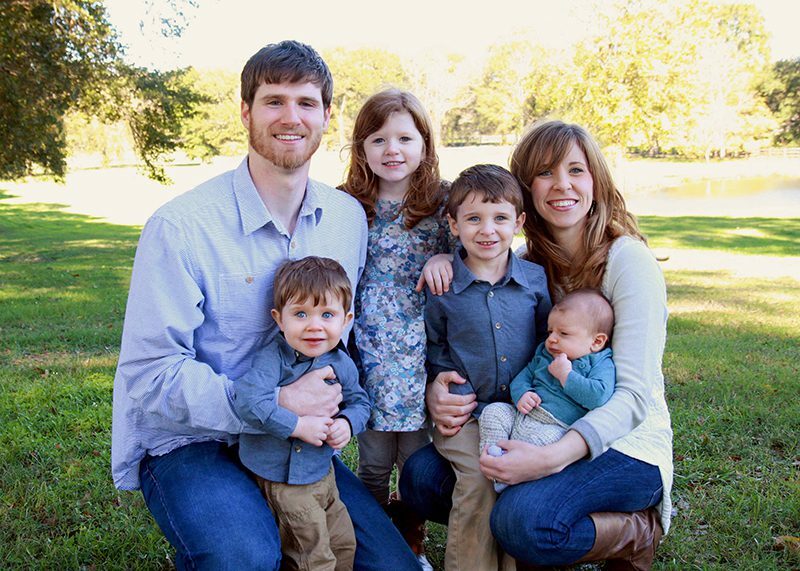 Jake and Emily are the blessed parents of four amazing children and are members of The Bayou Church in Lafayette. Outside of work, Dr. Jake enjoys spending time with his family and friends, keeping up with sports, serving at his church, and tackling occasional home improvement projects.